Everybody Is Telling You That You Are Going To Get Rich Quickly Trading. Did It Happen Yet? as taught students on all learning levels. The Forex Trend Dominator Manual Trading System software was created considering a range of intelligence levels and incorporating learning style theories - explained in User's Manual. The former educator is a devoted mother and part time trader. 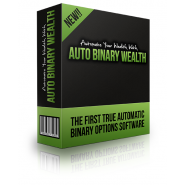 In conjunction with a former financial business executive, who earns a living by trading, the 'two heads are better than one' teamed up with top programmers to develop and perfect the impressive manual trading system. *Many adults have undiagnosed ADD and ADHD, have short attention spans, and have difficulty focusing. 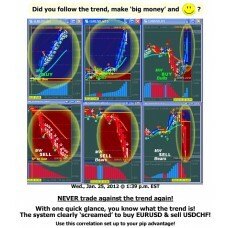 The Forex Trend Dominator Software was created with short attention spans in mind with the color coordinated system with the dashboard displays. A unique, accurate, manual trading system with 'lightening fast' signal alerts to ease trading decisions. Visual and auditory communications are vital with everything in life and in learning, so we applied those communication components into our system. Our indicators and a plug-in template that includes alerts that boost your trading success: a dashboard that tells you immediately when the trend is weak or reversing, when there is buying and selling, and when to consider entering a trade. You will know exactly what the trend is doing within seconds. 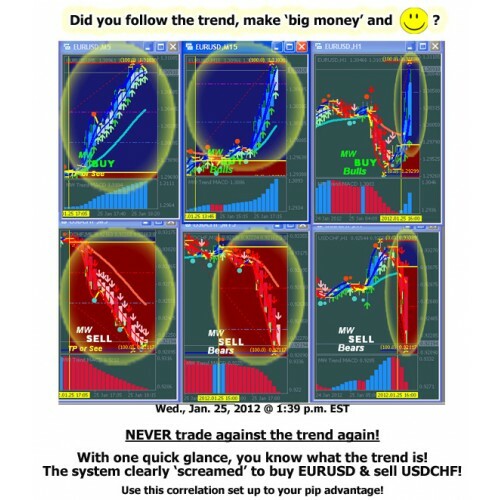 The system contains accurate trend signal alerts for the dashboard and 5 out of the 10 indicators have alerts that may be sent to your email and cell phone (read below). The 'lazy' trader will love the alerts! One time purchase with no monthly fees. Use on any time frame, any time of day with any currency, including gold, silver, oil, etc. You are in control of your time, trades, and your money. 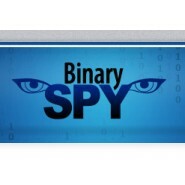 Great for all traders: scalpers and traders that hold positions for hours or days. Even our M1 chart picks up on fast reversals within seconds! A unique and very beneficial trading system, unlike all the useless products sold. Setting up your plug-in template for your MetaTrader 4 charts. 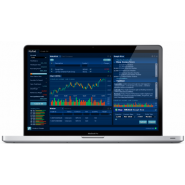 If you prefer to use another trading platform to make your trades, you may set up a Metatrader4 demo account for free to use the system and make your trades with your current broker. Detailing and illustrating the simple rules to enter and exit trades, as well as show examples of trades to avoid. Suggestions with pictures of charts layouts on your platform using multiple timeframes with emphasis on focusing or 'honing in' to yield more profits. A section that details how to set up trading alerts via email and cell phone texts. This task may be daunting and time consuming if not set up properly, so we outlined the step-by- step details to have you set up within ten minutes with a no-cost SMTP provider. Purchasing a simple-to-assembly, practical desk that costs much less than a pair of name brand sneakers, to set up your computers and monitors so that you are organized and in control. Professional suggestions for computer system requirements, computer safety and privacy. This is by far the BEST INVESTMENT you will make. 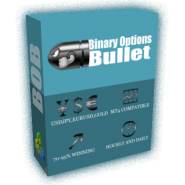 You receive a simple, literally split second accurate manual trading software that contains a plug-in template with trend signals alerts to boost your trading success, as well as a manual chock full of beneficial information.